Women’s neon kilt-style skirt from Scottish design house, Christopher Kane. 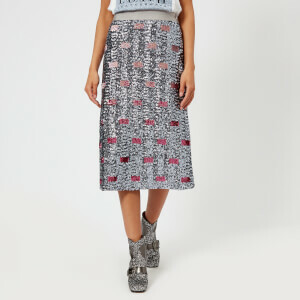 Crafted with weightless, sheer lace, the pink midi skirt boasts a wrap style with leather buckle fastenings at the waist, a pleated design and an inner slip lining. An all-over floral pattern adds the finishing touch to the design.